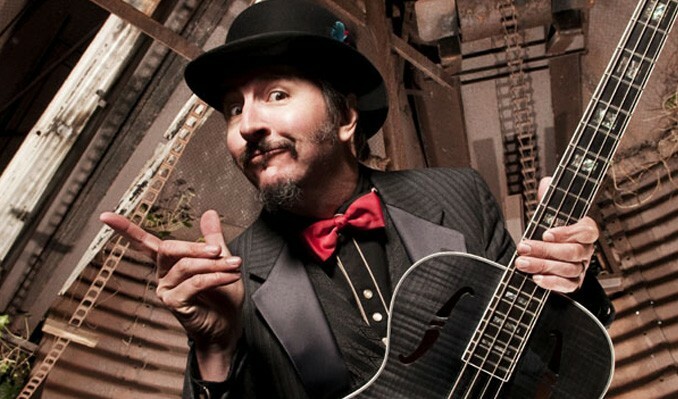 Leslie Edward “Les” Claypool (born September 29, 1963 in Richmond, California, U.S.) is a singer, lyricist, bassist, multi-instrumentalist, and composer, best known for his work with the alternative rock band Primus. Claypool’s mastery of the electric bass has brought him into the spotlight with his funky, creative playing style. Claypool mixes finger-tapping, flamenco-like strumming, and a Larry Graham-like slap technique to develop his own unique style and has earned respect as one of rock’s premier bass talents, becoming an influence for younger bassists in recent years. Claypool has also self produced and engineered his solo releases from his own studio “Rancho Relaxo.” In 2006 was the release of a full-length feature film Electric Apricot written and directed by Claypool as well as a debut novel South of the Pumphouse.